A young woman, let's call her Jane, survives a car accident. Her injuries are so severe that she is diagnosed as being "in a vegetative state," or what medics call unresponsive wakefulness syndrome. Yet scans show that her brain responds to the sound of someone else's voice. So is Jane conscious or unconscious? The answer is that consciousness and the unconscious might be much more similar than we think. Recent developments in cognitive science provides empirical evidence that the unconscious brain is able to perform almost all the activities that we (wrongly) think are exclusive to conscious beings. This means that unconscious beings are not only cognitively active, but might also experience emotions—both positive and negative. The very idea that consciousness is not a requirement for feeling emotions opens up a minefield of questions for how best to treat unconscious people, like Jane, who despite their unconscious state might still feel pleasure and pain. Clearly, we need to examine the ethical implications of this new picture of human consciousness and what it means for our identity as humans. Since the 1970s there has been impressive progress in the scientific investigation of consciousness. In particular, brain imaging techniques, which have allowed us to look directly into the living brain, have given us new tools to investigate consciousness. This has also impacted the study of the so called "disorders of consciousness" like coma, unresponsive wakefulness syndrome, and what is known as a minimally conscious state. 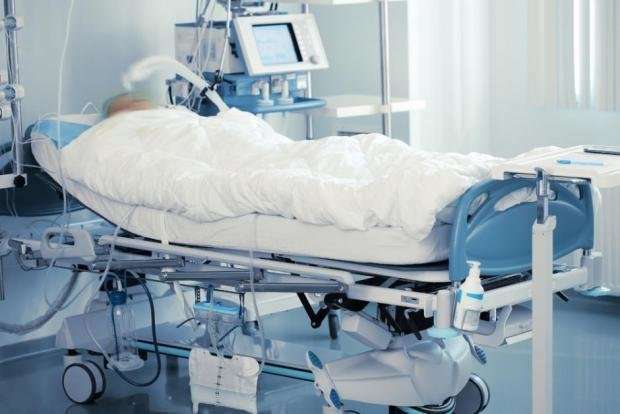 Coma patients are characterized as having a complete absence of both wakefulness and awareness, meaning they lack both vigilance and ability to consciously process information. Someone with unresponsive wakefulness syndrome experiences sleep-wake cycles with no awareness, and those in a minimally conscious state experience intermittent periods of wakefulness and awareness. Today we know more about what happens in the brain of patients with these disorders, and this growing knowledge has at least two very positive effects: Better therapeutic protocols and a better description of what consciousness actually is. But the existing protocols are limited as they focus only on residual consciousness while ignoring possible residual unconscious abilities, meaning that clinicians usually test the patients to check whether they are able to consciously perceive something while the ability to unconsciously process information is completely ignored. An emblematic case is the development of new tools to potentially communicate with patients suffering from disorders of consciousness. For instance, take our earlier example of Jane. In order to figure out what exactly was going on in Jane's brain, the researchers studying her set up an experiment. They ask Jane to perform two different mental tasks: To imagine herself playing tennis and to imagine herself moving around her house and they monitor how her brain responds with functional magnetic resonance imaging. Again, Jane's cerebral activity looks very similar to that of a group of control patients. As a result, the researchers are able to implement a very simple yes/no communication with her: She imagines herself playing tennis when she wants to say "yes" and moving around her house when she wants to say "no". Is Jane conscious or not? Whether Jane is conscious or not is an important question, and it is still open. Either way, contemporary neuroscience and neurotechnology appear to open a new window into the residual mental life of brain injured patients and show what a very damaged brain is still able to do. The result is that one of the most intimate phenomenon that exists, consciousness, is literally externalized, meaning it is detectable and visible to other people around the patient. As a result, new ways to interact with these patients may be developed, with important clinical and ethical consequences. For example, should we obtain informed consent directly from the patient rather than asking their legal guardian? At the conceptual level, new models of consciousness are now being developed. One of these, called the Intrinsic Consciousness Theory, includes elements from both philosophy and neuroscience and describes consciousness as a continuum. With this model, it is difficult to draw a sharp definition between an unconscious mind and a conscious one. This agrees with recent scientific evidence and a related theory of the unconscious, which emerges not as something passive, flat, and similar for everyone, but as an active and subjective brain dimension, which is to a certain degree, unique, because it results from previous life experiences. Moreover, the unconscious is not disconnected from awareness and it contributes massively to shape our aware life. Recent research shows that the unconscious is able to correlate information, associate meaning, reason quickly, develop complex computations, selectively focus on information, and to make complex inferences. They can make decisions to act based on information gathered from their surroundings, and evaluate their experiences, and demonstrate goal-directed behavior. While consciousness is usually defined as the opposite of unconscious, recent research suggests that this kind of interpretation is too simplistic and should be updated and the concept of unconscious emotion is increasingly gaining scientific literacy. Just because a patient shows no visible signs of consciousness does not mean that they are not conscious. Similarly, the lack of visible emotion is not sufficient evidence for the lack emotion per se and there might well be an internal emotional life that we just don't see. If Jane's unconscious brain can perform the same tasks as the conscious patient in the next ward, then the two are comparable. And Jane should be treated and consulted in the same way as the conscious patient, by helping to alleviate pain and provide stimulation in the same way.